It may seem odd to find a review of a diet book on a web site devoted to cancer, but there are good reasons for looking at this book. Firstly, it's an accepted fact that there is a strong link between obesity, metabolism and cancer. Secondly, there is an increasing view among some researchers that cancer is a metabolic syndrome, and that cancers are associated with a whole set of metabolic changes, both in the tumour and the surrounding tissues. Cancer and metabolism, and therefore diet, are inextricably linked. And, as discussed on this site in the past, there is evidence that altering diet can impact cancer treatments as in the work that looked at chemo response and fasting. There is another reason for looking at this book - the authors (Professor Tony Howell and Dr Michelle Harvie) are both working in breast cancer research, and are involved specifically in helping patients reduce their chances of getting the disease or reducing the risk of recurrence. One of the authors, Tony Howell, is well known to regular readers of this site for his work on the reverse Warburg effect and his association with Michael Lisanti and the development of new theories that link cancer with metabolism. That said, this is primarily a book about diets and losing weight rather than a book specifically about cancer. Although the links to cancer are there in the text, and many of the patient stories include mention of cancer, the main aim is to help readers lose weight and keep it off. And, in doing so, to reap the overall health benefits across the board. So, what is the 2-day Diet, and how does it differ from the thousands of other diet books on the market? A key point to make up front is that this is a diet that's been backed up by clinical data. There are no celebrity endorsements, no one selling expensive supplements or foods, no hand waving or bold claims unsupported by evidence. This is a diet that has been shown to work, it's that simple. Simple too is the basic idea behind the diet - it's simpler to stick to a strict diet for two days per week than it is for seven. And, importantly, the changes induced by a strict two day a week diet are significant enough to cause changes in body weight, glucose tolerance, mood and so on. The diet on the two restricted days is a fairly strict low carbohydrate diet. It is high in protein but includes moderate amounts of fat. The guidelines are fairly easy to understand and there's no specific carb counting required. While it's not the strictest very low carb diet around, it is quite a jump if your current diet includes high amounts of potatoes, rice, pasta, bread and so on. There are daily meal plans, recipes and lots of advice on how to handle these two days. There's a degree of flexibility in terms of which days you select as your restricted days, though it's clearly recommended that the two days follow each other if possible. The non-restricted days are easier to cope with, but it has to be said that these days are definitely not 'eat all you can' days. 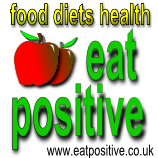 The diet on these five days is geared towards a Mediteranean type diet - lower on carb, high in veg and fruit, low in saturated fats and so on. It's an easier ask to adopt this gentle diet compared to the stricter diet days, but it may still be a significant change for some people. In addition to the diet, the topic of exercise is also covered in some detail. And, as in the rest of the book the rationale behind this is clearly explained. The evidence is that people who diet and exercise lose more weight than those who either diet or exercise. For those of us interested in the science side of things there are lots of references to follow up, but we are not the target audience. This is clearly a book that is squarely aimed at the reader who wants to lose weight and keep it off rather than being aimed at those interested in the science side of things. To that end the text is peppered with quotes from people who've used the diet, advice on setting realistic targets, strategies to help stick to the diet and more. It's definitely user manual rather than science text book. So, the bottom line is that if you want to lose weight, for whatever reason, then this book contains all you need to know to adopt a diet that has been shown to work. And, the good news is that the authors are continuing with their research efforts. So, for example, there will be a trial looking at how this diet can be adapted to work for people undergoing chemotherapy.